When it comes to Cotswold ceramics, there is one thing that immediately comes to mind – putting your memories of the wonderful times you enjoyed at Cotswolds, England into clay. Indeed, pictures of the places you visited and people you have met during your stay in England’s most notable Area of Outstanding Natural Beauty are well and good but the satisfaction derived from making memories via your hands is incomparable. Think of your ceramics and pottery works of art as your personalized souvenirs on so many levels. Lest you think that you will be making a fool of yourself while making ceramics works, we give you our solemn word that nothing can be further from the truth. You have the benefit of pottery and ceramics classes offered by various establishments in the Cotswolds.You may ask the staff at whatever cottage, inn or hotel you are staying in about these classes and you will be likely referred to a local Cotswold ceramics shop. In these pottery and ceramics classes, the materials, tools and equipment necessary to make vases, jugs and other beautiful items are provided for by the shop owners. The classes are conducted by professional clay workers whose works are often displayed within the workshop venue and in a separate display shop. All you really have to do is to show up to the classes, listen to the instructions and enjoy getting your hands dirty in order to make a thing of beauty. You need not worry either about inspiration because the spectacular beauty of Cotswolds, England has provided and continues to provide resident artisans with all the creative inspiration they require to make works of art. 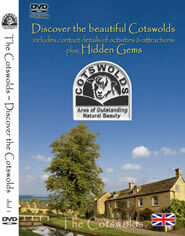 The following are just two of the hotels that offer classes on Cotswold ceramics and pottery. Again, you can always ask for referrals to independent ceramics and pottery workshops and stores. The Stanton Guildhouse is located at Stanton Village near Broadway. Pottery classes are offered for residents and non-residents alike, which makes these classes an excellent opportunity to meet new friends in Cotswolds. Other classes include calligraphy, woodwork, quilting, stained glass making and even creative writing. Honeybourne Pottery offers a wide variety of activities and items related to ceramics and pottery. You can either make your own items on the potter’s wheel or choose from ready-for-painting items on the shelves. Your choices include almost everything from the vases, bowls and plates to the wall hangings. 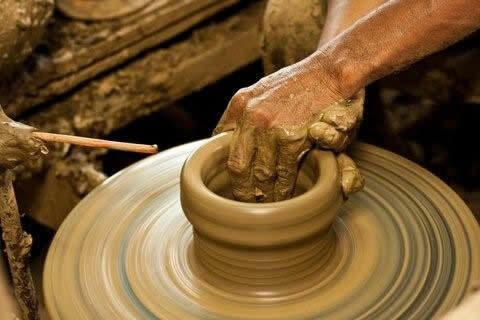 Indeed, your vacations can be a learning experience rolled into one, thanks to Cotswold ceramics classes.